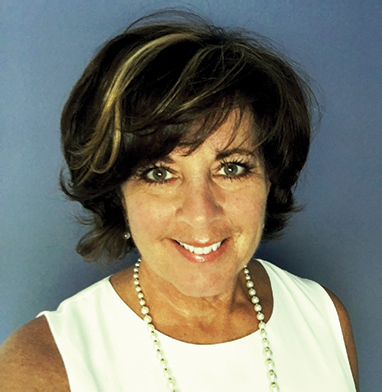 A 30-year business entrepreneur in marketing, communication and environmental branding, Meg Hogan is recognized for inspiring healthy and productive teams, from start-up to multi-million dollar organizations. With a keen awareness of the bottom line, Meg’s leadership experience has been that the health of any organization is mirrored by the health of their workforce. Utilizing HeartMath® science-based tools, and technology, and life experience, Meg empowers with self-awareness and teaches ‘how to’ diminish toxicity of stress by integrating a personalized practice plan into daily routines. She serves to enable individuals and groups to thrive in environments of change, challenge and adversity, with emphasis on mindfulness, authenticity, response-ability and communication. Individual feelings of health and well being enhance synchronization of the team, leading to improved outcomes both personally and professionally. Though stressors and adversities don’t suddenly disappear, it is possible to reset our capacity for resilience and significantly reduce the negative influence of external events and circumstances. Utilizing simple, evidence-based techniques and technology that can be used any time, anywhere, we can calm reactive emotions and neutralize stress in the moment it is needed. Founder of Build Resilience, Meg is a Certified HeartMath® Trainer, Certified HeartMath® Coach / Advisor and Master Trainer for the HeartMath® Institute. I am passionate about supporting those who care for others. I have great respect for many organizations providing at risk populations with a tangible means for self care and self-sufficiency. The Red Tent (http://www.redtentproject.com) is a grassroots initiative providing safe spaces for women, both in the Pinellas County Jail and in the community, where they can support one another, gain insight into themselves, and access community resources. In the program, participants experience the therapeutic benefit of using their hands to sew and embroider, to expand creativity, increase self-esteem, and improve focus. The Red Tent mission is to ‘Improve the lives of women, benefiting their families and communities by providing mentoring opportunities, financial empowerment, and the social bonding that is the natural result of creating marketable crafts together in an atmosphere of trust and encouragement’. I am proud to be a member of the Red Tent Tribe, teaching HeartMath® Resilience Advantage™ skills to Red Tent participants inside the Pinellas County Jail and in community groups.